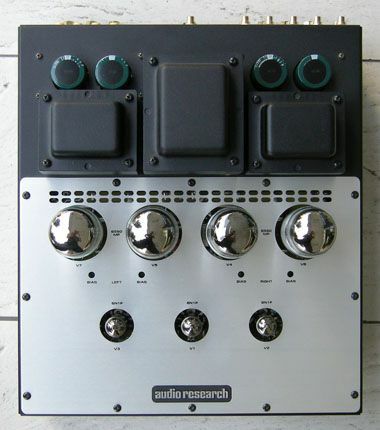 POWER OUTPUT: 50 watts per channel continuous from 20Hz to 20kHz. 1 kHz total harmonic distortion typically 1% at 50 watts, below .05% at 1 watt. POWER BANDWIDTH: (-3dB points) 12Hz to 90kHz. FREQUENCY RESPONSE: (-3dB points at 1 watt) 1.0Hz to 100 kHz. 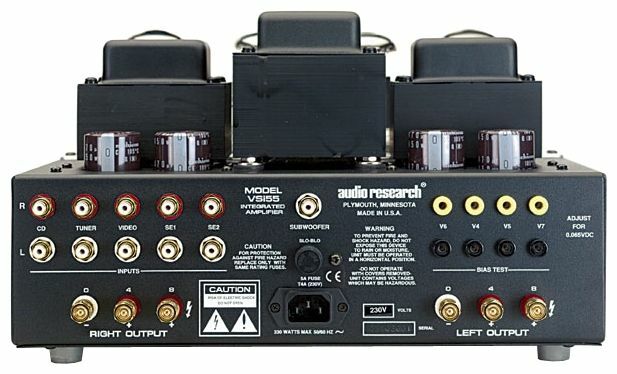 MAXIMUM INPUT: 3.5V RMS (any input). Optional 6dB pad for CD input. PUSH BUTTONS: Volume up, Volume down. (70 steps, 20 LED indicators), Input, Mono, Mute, Power. All functions on IR remote control. OUTPUT REGULATION: Approximately 1.5dB 8 ohm load to open circuit (Damping factor approximately 5). HUM & NOISE: Less than 0.14mV RMS – 103dB below rated output (IHF weighted, input shorted). POWER SUPPLIES: Electronically regulated Low and High voltage supplies for input stages. Automatic 30 sec. warm-up/brown-out mute. POWER REQUIREMENTS: 100-125VAC 60Hz (200-250VAC 50Hz) 320 watts at rated output, 500 watts maximum, 205 watts at “idle”. 0.5 watts power off. 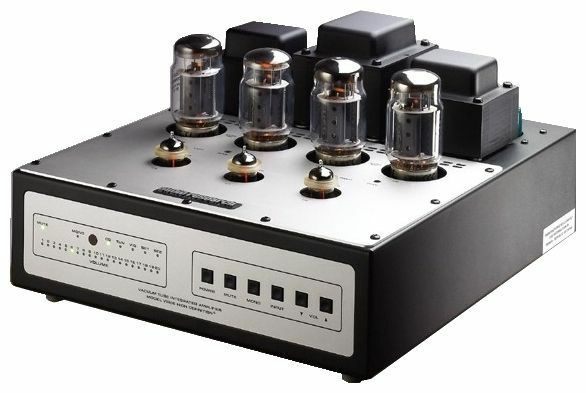 TUBES REQUIRED: 2 – Matched pair 6550EH – Power Output; 3 – 6N1P input and driver. DIMENSIONS: 14" (35.6 cm) W x 8" (20.3 cm) H x 16" (40.6 cm) D. Rear connectors extend .88" beyond chassis. WEIGHT: 34 lbs. (15.5 kg) Net; 40 lbs. (18.2 kg) Shipping.